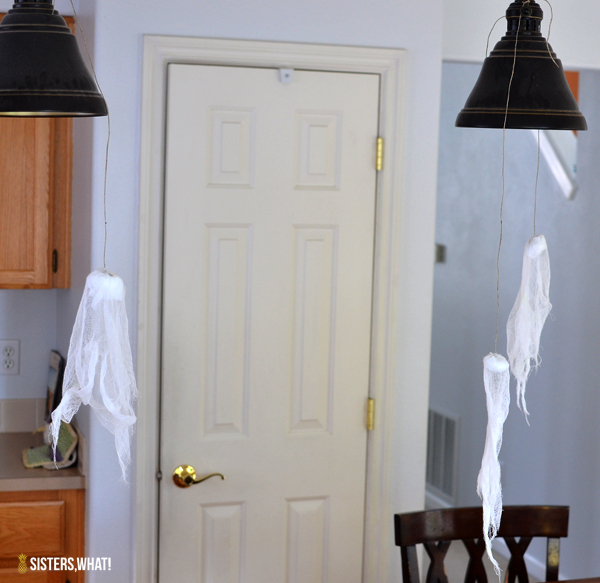 ' DIY Cheese Cloth Ghost - Sisters, What! I've never really been a big Halloweener (is that even a word??) but it's hard to not get into the spirit of it when my 4 year old is so excited for all the fun halloween stuff that is everywhere. He actually started asking to get out the Halloween/fall decorations in August, but we made it a week into September before I relented. But, I hate all the scary stuff about Halloween and will only do fun happy stuff. Here is a halloween crafts we did together. 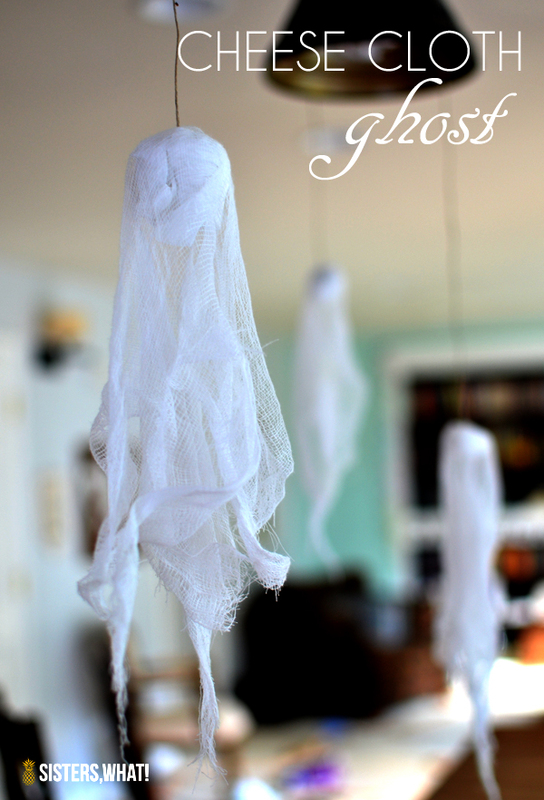 I had some cheese cloth left over from something, so I thought it'd be fun to make some hang some ghost. Captain Awesome and Small One loved them! They actually just flew them around the house all day before I gave them their final hanging place. 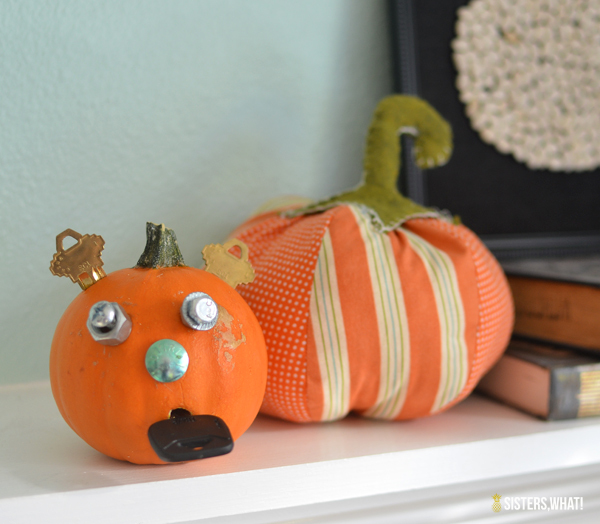 They look really fun (and not scary) and were a fun little project to make with my 4 year old. Cut your cheese cloth into squares. 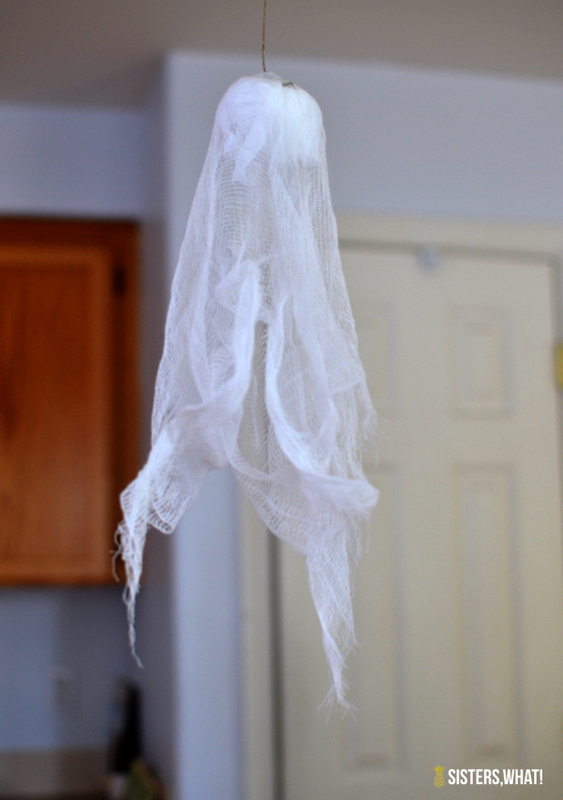 Glue string to cotton ball, then thread string through the center of the cheese cloth. Now you can hang it or let your small one fly it around. 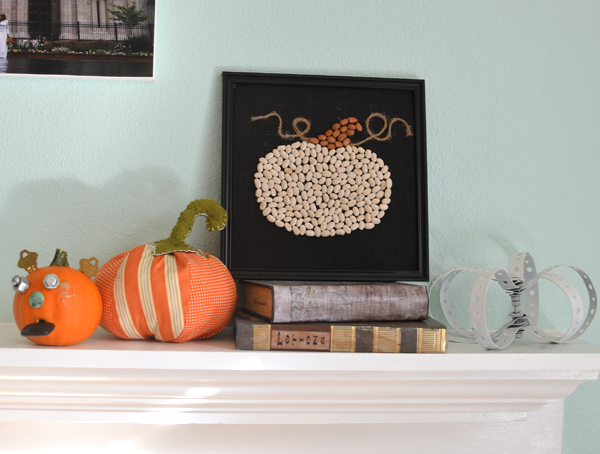 Above is my bean pumpkin from last year, and the fabric pumpkin was made by my sister. The little crazy eyed pumpkin is a frankenstein pumpkin I made at a Orchard Supply Hardware store. Basically we just hammered in the hardware where we wanted it. It was so easy. The boys have loved it and have take turns playing Mr. Pumpkin head by moving all the hardware around.